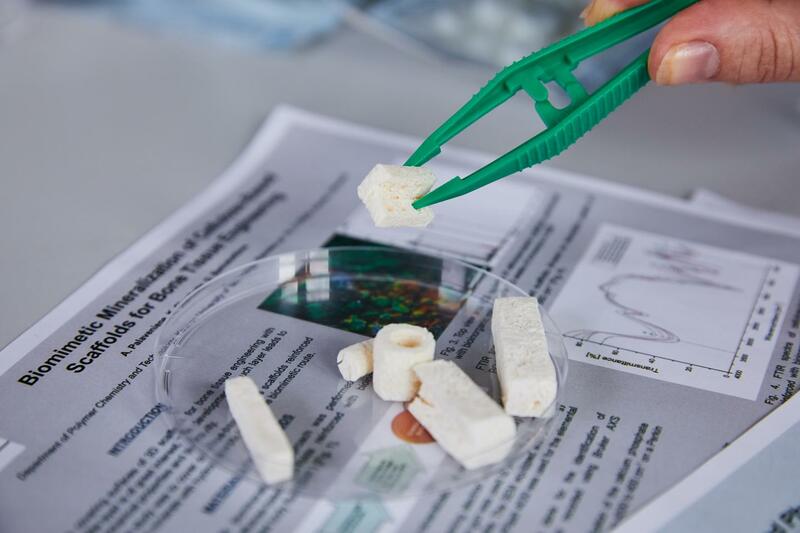 The group of researchers of Kaunas University of Technology (KTU) has developed several innovative applications of cuttlebone, natural biologically active material possessing bone and wound healing properties. The products include natural bone implants, suppositories for treatment of haemorrhoids and wound gels. By removing protein from the cuttlebone, KTU researchers have solved the main challenge connected to the usage of marine-derived materials – risk of side effects, such as allergic reaction of potential users.